We begin this week with a little something from the archives. Although it was originally uploaded to Facebook around four years ago, it seems to have recently resurfaced and is generating interest once again. 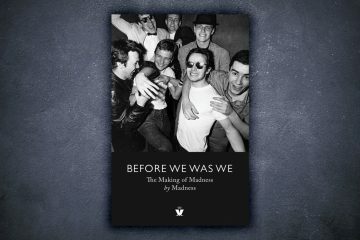 What we’re referring to is a recording of Madness at the Midern Gala, Cannes from way back on the 20th January 1982. The footage was shown on the show “Children of Rock” and aired on Antenna 2 on the 28th of the same month. A big thank you to Eric Régnier for finding this video! The big news this week was that the Magic Brothers’ “Magic Line” album was now available for pre-order. The released was only for the digital download, which would be out on the 30th September. This Woodgate Brothers production was due to feature 12 tracks. 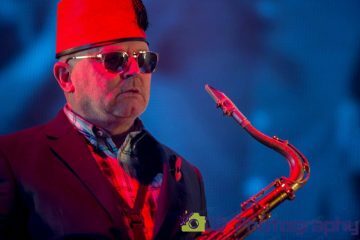 Over in our semi-regular Live and Intensified section subscriber Daren West reported on a massive three days of Madness gigs, which ran concurrently. 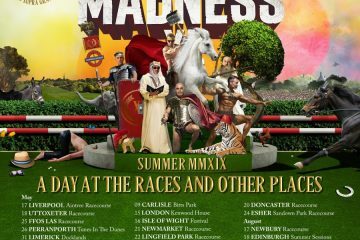 First, it was Sandown Park, followed by Newmarket and finally Haydock Park. We wouldn’t be surprised if Daren needed a few days to recover after that little lot! Moving on to this week’s feature, and we reported on how you could bag yourself free bottles of Gladness beer, all thanks to the Growler Brewery who’d generously donated some for prizes. All you had to do to be in with a chance was to tell us what was the name of the elephant on the Gladness label. You could enter as many names as you wanted, and once the competition had closed a certain Mr. Bedford would be judging. 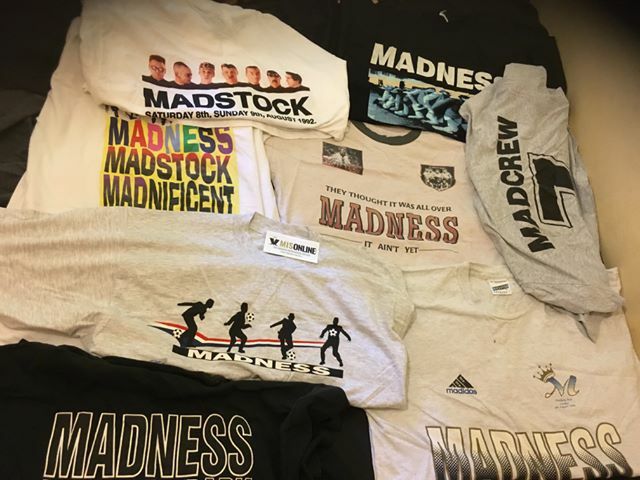 We brought this issue to a close by urging you to read through the Woody and Bedders interviews we’d linked to in our Sign of the Times section, and apologised once again for not including a review of Ian Taylor’s Mad Not Mad fanzine. “Next week”, we promised. Kicking off the articles was an interview with Woody, from Montreux. 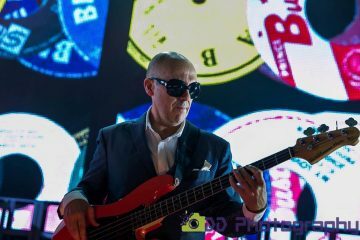 Interviewed by two French reporters, Woody commented on the early days with the band, his ability to speak fluent French, the Madness musical, the 1992 comeback gigs, and much more besides. Although die-hard fans wouldn’t have learned much from the session it still proved to be an enjoyable read. Next, it was over to the track “We Are London”, and our investigations into a verse quoted by Carl but hadn’t appeared on the live version we’d recently heard. Moving on, and we went back to Montreux, and this time it was the turn of Mike, Lee and Woody to get the interview treatment. Although not as long as Woody’s solo interview, the interviewees revealed that they’d been busy working on a number of new songs. The interview was brought to a swift close when Chris appeared, grabbed the microphone boom and started attacking it! In MIS 478 we ran a competition to win a Hackney USB Wristband that we had purchased for one lucky reader, and then hacked into it and stuffed with some extra related files and goodies that go along with the Hackney show theme. The wristband contained the entire amazing gig of the first night at the Hackney Empire in MP3 as originally sold on the night, and then we used the extra space to pack it full of photos, text files and more audio. It really was a one of a kind. The winner was one Stan, aka Monkey. Elsewhere we had another Montreux interview, this time with Lee, who explained that the last time they were in this part of France was way back in 1985. We brought this issue to a close with a sponsorship plea from subscriber Colin Galbraith, who was planning to abseil down the Forth Bridge in aid of the Edinburgh Zoo charity. What a nutcase! Still, it ‘was’ for a good cause. With Rob now settled in to his new house things should have gone smoothly. Unfortunately, due to issues with his broadband supplier, and the fact that Jonathan was on holiday, the issue almost didn’t appear. News in from subscriber Graham Whitfield reported on an episode of Sky One’s “When Celebrities Attract”. This particular episode was about Zoe Ball and Norman Cook, and Suggs’ appearance at their wedding where he sang ‘it Must be Love’. 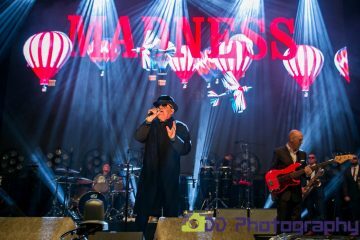 Were you, like many of us, unable to catch Madness at the recent Bonn gig? Well, we weren’t able to help you magically teleport back in time to see the show, but MTR subscriber, Birchy, was kind enough to dig out a link to a selection of photos on a German web site. Back for his second article of the week was Graham Whitfield, who this time gave a brief review of a recently aired Channel Four programme, “The Madness of Prince Charming”. “This [programme] was all about the sad demise of one of Madness’ closest eighties rivals, Adam Ant. His musical demise, like more or less any other band, was inevitable, but the programme also focussed on his decline into manic depression. Ironically, it was this illness which seemed to drive him to the top. But sadly, it took him from pop idol, to being an actor who could boast Heather Graham as his girlfriend, to attacking a pub with an alternator and a starting pistol. I never cease to be amazed at how Madness only ever reached number one once, when Adam Ant achieved this 3 times at least. 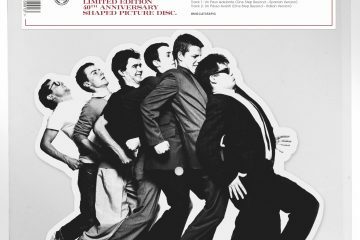 By rights, Our House and Baggy Trousers should both have topped the charts, as should It must be Love. I always put it down to bad luck. But one thing’s for sure. When you watch these 80’s nostalgia shows, it’s quite clear that the competition was far stronger back then than it is now. Have just a brief glimpse through any pop chart from those days, and you will be able to pick out so many good songs. Try doing the same today”. 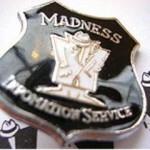 Next up was Bristol based Maddie, Andy Thomas, who wrote in with reviews of not one, but two Madness tribute acts. “I can’t really say one is better than the other BUT as 1SB are still fairly new at the game full credit must go to them. If you get chance to see either of these guys play – TAKE IT, don’t leave”. The setting of the Hideaway was very different to gigs I am used to. Reminded me a bit of Boisdale at Canary Wharf. An all seated venue where you could have a meal if you wished. First up was the support band, sister Suzie with mix of rock and roll and rhythm and blues sound. A very good band which I enjoyed. Then it was time for The Tremolites. Playing mainly original songs written mostly by Andy Neal. A couple which you would be familiar with if you follow LTSO were Feel a Little Better and I Am King. 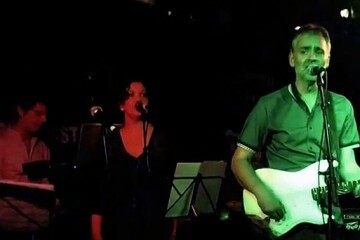 All the songs played at the gig are on my youtube page https://www.youtube.com/user/nuttygreek. The gig was brilliant with their blend of ska/rhythm and blues/soul. There is an announcement coming soon on their next gig and I urge you to check this band out. 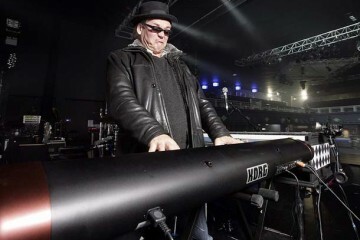 Jerry Dammers did and I’m told he said that “it was great to hear songs with proper arrangement and soul”. A massive compliment from the man that started it all in the UK when it comes to the punk ska Rolf two tone. 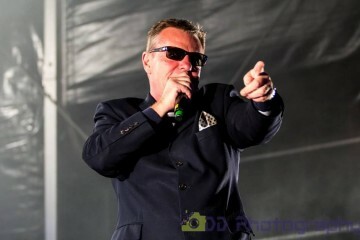 Suggs spoke to ITV News before the recent Alnwick Castle gig. He talked about Buckingham Palace, the break from playing Madness songs, withthe report also suggesting give that his film will be out in the autumn.